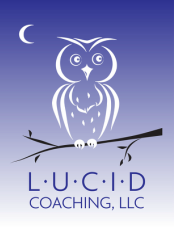 The lucidcoaching.com white owl logo was inspired by one of my dreams from 2011. Below is my dream record, along with my original commentary from 2011. Of course, owls are also associated with nocturnal activity and alertness, and these two characteristics apply very aptly to the practice of lucid dreaming. Apparently, white owls can also be very playful (see video below), another common feature of dreams. Dream 5 (6:18 AM). I’m in a house. Others are staying in the house, but I have my own room. My room has a sunroom-type extension behind my bed. Somehow I'm reminded about a gift I had been given some time ago. The gift was a bird. The bird was in a cage, like a pet-bird might be. At first, I recall the bird as a seagull. I'm suddenly worried because I've completely ignored the bird. I have not given it any food etc. for months. I fear that I might find it dead in its cage. I go to the sunroom area, looking for the bird. As I come upon it, the bird appears to be engaged in some kind of flurry or struggle. Then I see that it is ok, and has somehow managed to get out of its cage. 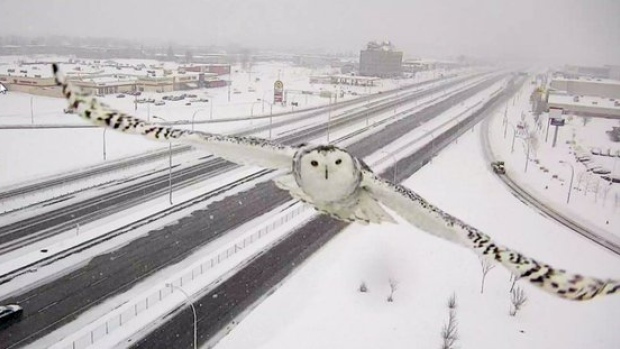 I now see that the bird is actually a beautiful white owl. The owl seems healthy and glad to see me. I approach the owl with the intent to pet it. It seems ok with me stroking its feathers. COMMENT: My immediate impression was that this dream has powerful symbols for me. I think the bird idea represents freedom and the part of my personality that thrives on freedom. You could call this aspect of my personality the “freedom-self”. For a long time, I had forgotten about and not nourished this aspect of my personality. I’m finally remembering that this is a core part of my being. As I return to rediscover this aspect of my personality, I find that it has been transformed. It is no longer caged (by social institutions, political institutions etc.). It is also very wise (the owl symbol). I’ve been reading about Richard Bach quite a bit lately – famous for the seagull parable book (Jonathan Livingston Seagull). In the Seth books, Seth calls Bach “The Seagull”, which was representative of his free-wheeling and spontaneous nature. The dream is telling me that my symbol of freedom has a different flavor – a combination of freedom and wisdom.